The Jewish Federation Connecting with Community welcomes The Berkshire Hillsmen Chorus. Members of the Barbership Harmony Society, the Hillsmen are an all male, a cappella chorus singing primarily in the barbershop quartet genre. With more than 50 years of singing in the Berkshires, "we still enjoy lifting our voices in song." 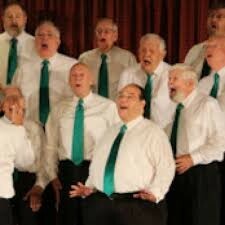 The HiIlsmen have been named the "small chorus champion" numerous times. Their repertoire includes songs from the 1890s to the Beatles and beyond, Broadway tunes, and patriotic numbers.